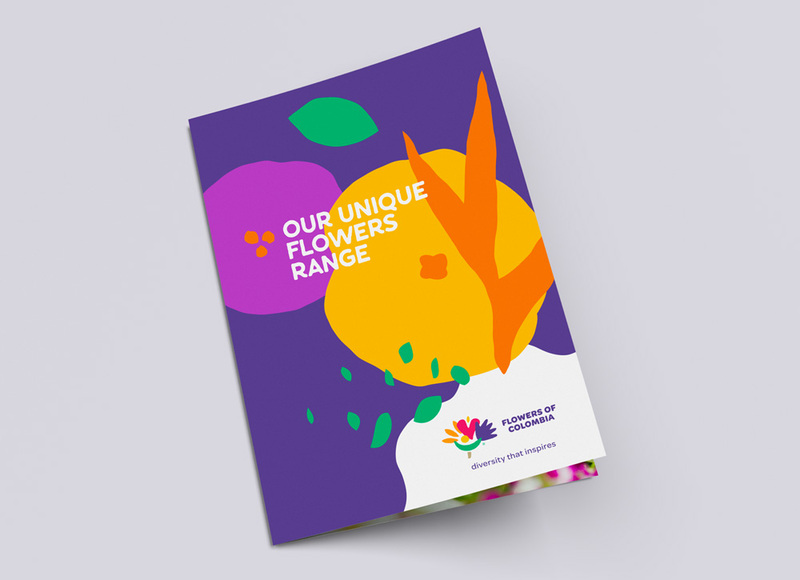 We evolved the name Flowers of Colombia , which clearly and balancedly expresses the product and its origin. 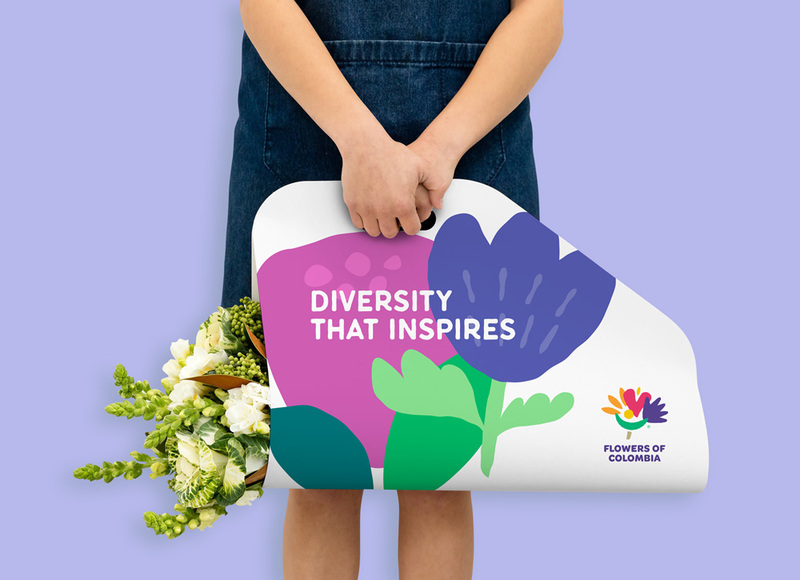 The symbol captures the concept of diversity by integrating different types of flowers and foliage, which together form an open flower or a bouquet. In a more imaginative way, it can be interpreted as a person giving or receiving flowers. The visual language is based on "floral compositions" that harmonize with the symbol and find their inspiration in scissors drawings by Henri Matisse . It is a dynamic language that emphasizes diversity and gives the brand an artistic, organic and contemporary character. Poor old logo, so naive. 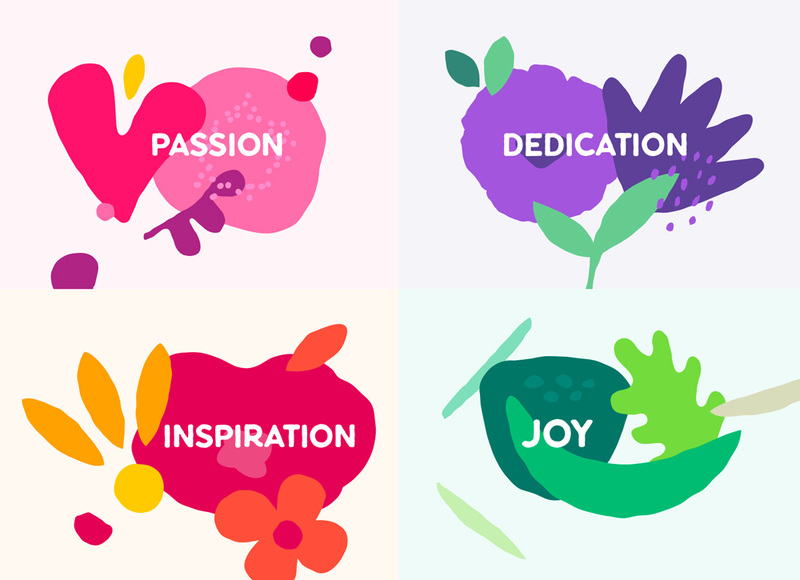 I almost feel bad about being too hard on it but it wasn’t good… from the font choice to replacing the “i” with flowers to the flowers themselves that were done with the default setting of the brush tool in Illustrator (that is, assuming it was done in Illustrator). The new logo has a great, effervescent icon that looks happy and flowery and bright. If you analyze the shapes a little harder though, it does make you wonder exactly what kind of flowers these are, but the overall effect is convincing. The wordmark, in Omnes, is a decent complement but there is something too casual about it. The illustration language from the icon extends to the applications and they are all pretty good and, for lack of a more complex critique, everything feels like they are trying to sell me flowers, which is the goal. The one odd thing is the supporting typeface that sort of looks like the one in the logo but it’s not different enough and it doesn’t create enough contrast with the logo or with the rest of the copywriting also set in Omnes. Overall, a great improvement for sure. (Est. 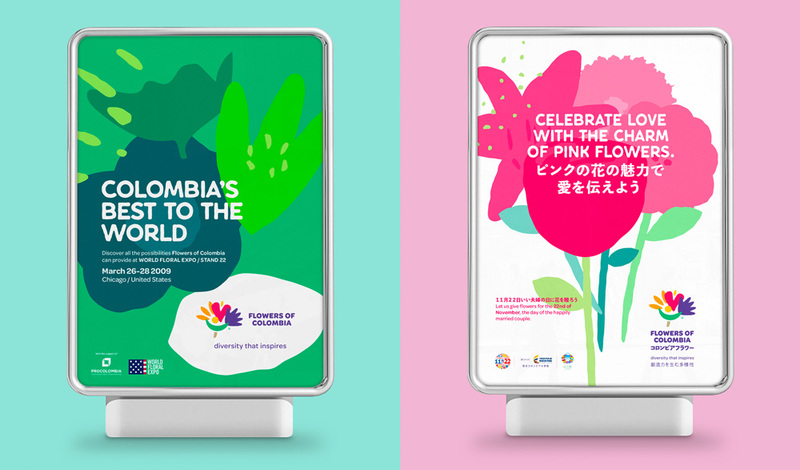 2017) \"Flowers of Colombia is an initiative of Asocolflores from Colombia that promotes inspiration through the flowers by searching beauty and by being vanguardist. 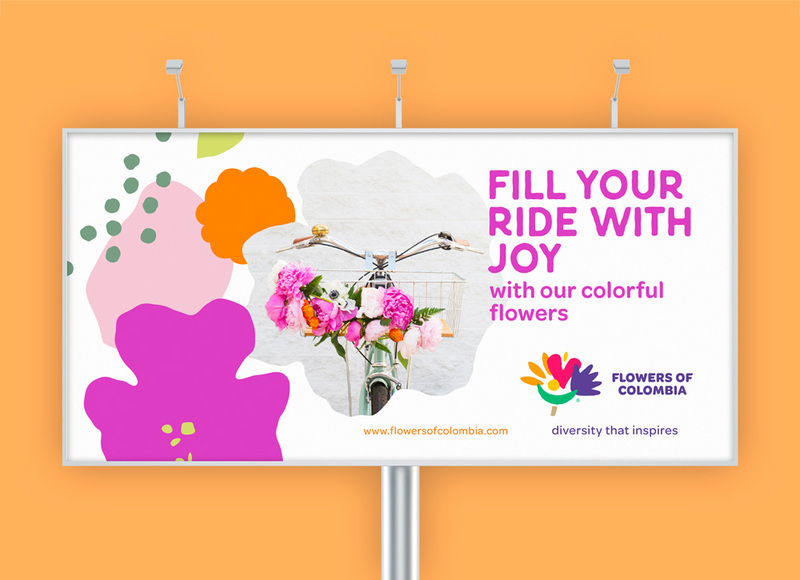 Asocolflores (Asociación Colombiana de Exportadores de Flores, \"Colombian Association of Exporters of Flowers\") represents 75% of sales to 89 countries in the world. National and international union representation, and participation in committees that involve Colombian floriculture.\"